Fun and engaging corporate team building and training events, activities, workshops and retreats in Orlando. Programs available onsite at your meeting place. Bond with teammates, build morale and boost engagement! Team building activities available onsite at your orlando meeting place or workplace. Orlando, Florida is a city built on fun, imagination, creativity and inspiration. Ranked as the top overall convention site in the USA, it’s a great place for your company’s next corporate team building or training event. We proudly offer a full lineup of team building events to local organizations in Orlando and Kissimmee, as well as companies visiting the Orlando area for their meeting or conference. Check out Total Teamwork, our top-selling team building program in Orlando and around the USA. Total Teamwork challenges team members with a series of fun problem-solving games designed to bring out their best. Other Orlando favorites include our GPS Treasure Quest, Mighty Mini Racers and our globally-themed Games Around The World program. Let PossibiliTEAMS energize your meeting with our Creative Meeting Facilitation services. 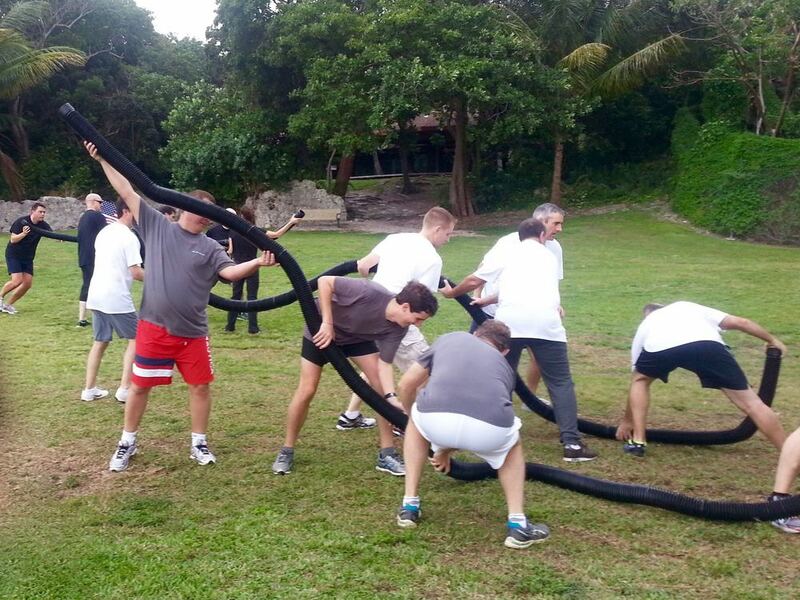 For more information, check out our full lineup of team building and training programs. Orlando’s range of first-rate hotels are ideal for PossibiliTEAMS' lineup of onsite team building events. Whether you’re staying at Disney’s Grand Floridian Resort & Spa, the Hyatt Regency Orlando, Loew’s Portofino Bay Hotel, the AAA Four Diamond Grand Bohemian Hotel Orlando, or anywhere else in the Orlando area, PossibiliTEAMS will work with your hotel’s conference services staff to deliver a team building event that’s fun, memorable and hassle-free. Click the button below or call us at (888) 225-3610 to learn how we can help make your upcoming meeting or team building event in Orlando extraordinary!